User experience designers know a thing or two about creating simple designs and exploiting patterns users are familiar with to generate flows that make sense. But what if they don’t make sense? For users with issues that affect cognitive ability, like dyslexia, the tried-and-true devices of good UX design don’t always resonate. Some users just can’t understand it all. Andrew Zusman believes its time to really focus on universal design, accessibility, and the importance of taking into account cognitive ability when creating digital products. In a 2012 Danish study on software innovation, researchers found that people at the periphery of a software user community contribute just as much to innovation as lead users. Previously, it was believed that groundbreaking innovation primarily comes from lead users. Lars Frederiksen, a researcher at Aarhus University noted that “…results show that change and innovation typically come from someone who has peripheral involvement in a user community, but also has a large network that covers many different communities.” Frederiksen conducted the research with Linus Dahlander at the European School of Management and Technology in Berlin and published the results in Organization Science. 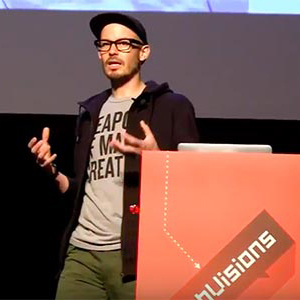 Zusman agrees, and believes that if UX designers focus on the peripheral user, it’ll create a better experience for everyone, and he’ll share his findings in his session on “Designing Cognitive Engagement For Everyone” at WebVisions Barcelona. 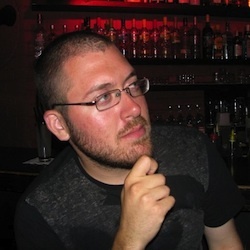 Andrew made a name for himself last year when his article on UX Booth, “The Sound of One Hand Typing,” led to him being invited to speak at prestigious conferences across Europe. 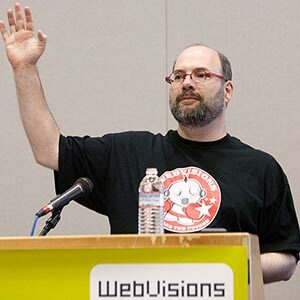 In that article, Andrew did primary research into the options one-handed people have when using a computer keyboard. His conclusion: universal design considers the needs of all users by crafting inclusive designs. This is the first step for UX designers in building products for people with disabilities and injuries, and for building better products overall. His session will focus mainly on dyslexia. “The crux of my presentation is on dyslexia because it is based on what I believe is the only UX research on dyslexia,” he says, adding that he did the research on his own, with no budget. And we just have to ask: Is Andrew’s next endeavor psychokinesis? 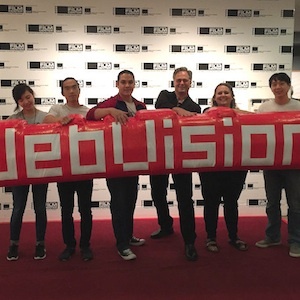 WebVisions Barcelona is June 19-21, 2014 at Elisava School of Design and the Centre de Cultura Contemporània de Barcelona. Register today.